Call 1-800-450-5319 or fill out the form for more information and a FREE quote on auto transport to Suriname through A1 Overseas International! When you have to ship a vehicle internationally, it is always wise to find an overseas auto shipping company with experience. As professionals, they have the equipment, freight ships, experts and other necessary things to complete the job successfully. Shipping anything overseas is a tricky task to take on, especially with the import laws of the country. That’s why it is best to have help with the process. The most efficient way to begin the vehicle shipping process is by contacting the Embassy of Suriname for the most current auto import and export policies for the country. The policies for auto import can be changed around at any time. Therefore, it is always wise to contact the embassy for the most current regulations and restrictions. 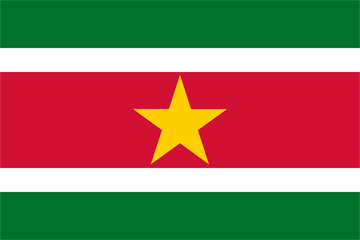 The regulations for the country of Suriname are much more lenient than many other countries. With assistance from the international auto transport company, complying with the rules is much easier. It’s a matter of gathering the right documents for Customs so that the vehicle can receive a certificate of approval for import. An inspection might also be required. Make sure that you provide proof of all that complies with the auto import laws according to the embassy. Present all proof to Customs before the transport is set to begin. Otherwise, the vehicle may not be permitted into the country when it arrives. Call 1-800-450-5319 for more information and a FREE price quote on boat, motorcycle and car shipping. Fill out the form too!